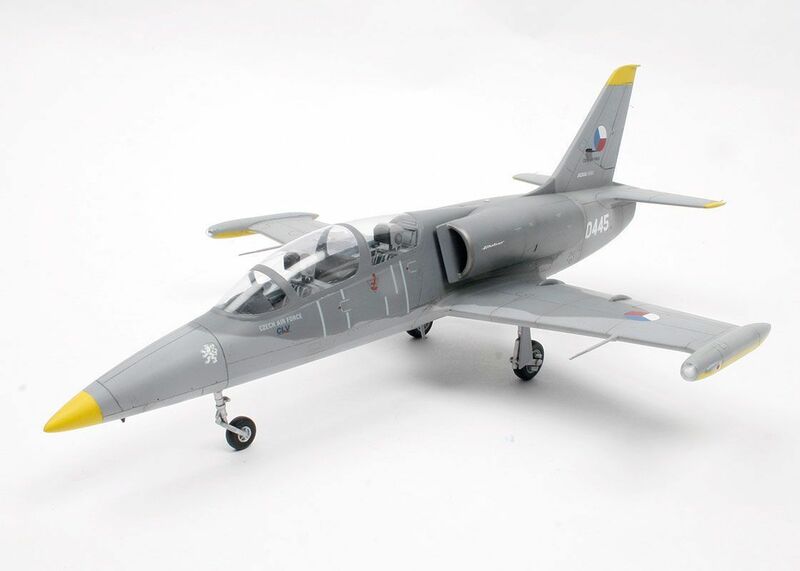 As a kit subject the L-39 has been quite poorly served when you consider how many have seen service with so many nations. The kit being reviewed here first appeared under the MPM banner about fifteen years ago. I built one when it first came out for a friend so I am able to give you a good comparison of how well it’s stood the test of time. The plastic parts themselves, of which there are ninety three, are fairly clean Grey mouldings. The only thing that has suffered a little is the engraved panel lines which are a little vague on the fuselage halves. The resin parts are also the same as the original kit. Numbering nine they cover the tail-pipe surround, air brake hinge fairings, ejector seat head boxes and a few ariels. The canopies and wingtip light covers are in the form of vac-forms. These are very clear but quite thin. The only update to the kit is the inclusion of a photo-etched fret of around fifty parts which add a little finesse where appropriate. To go with the photo-etched panels is an acetate sheet with the dials printed on it. The instructions are in Special Hobby’s usual style covering eleven pages, four of which are in full colour for the four colour schemes provided. 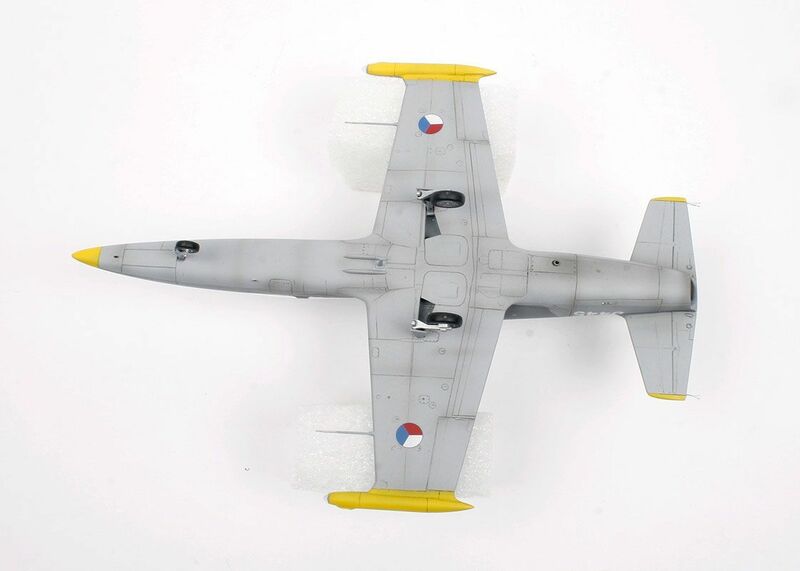 These cover the elaborate Estonian Air Force scheme on the box art and a couple of Czech and Slovak standard squadron aircraft in three tone Grey overall schemes. 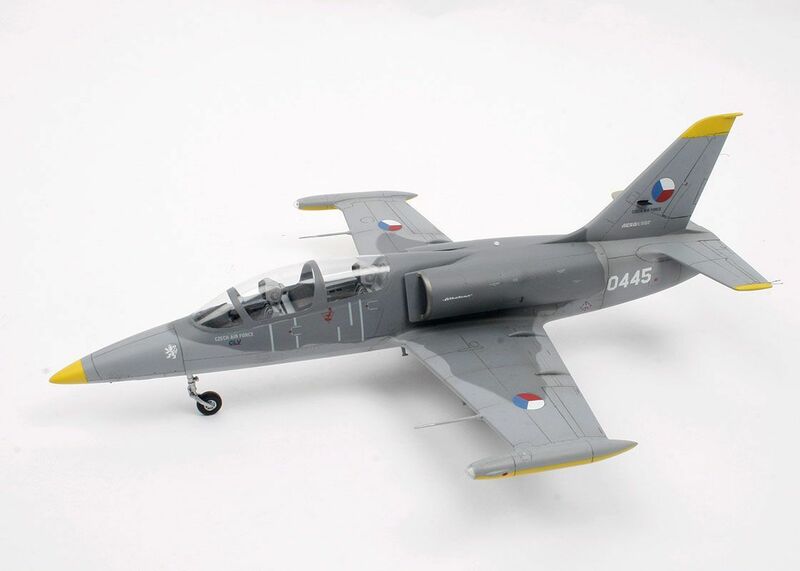 Having recently built the Planet Models L-159A Alca I decided very early on that I would be going for the Czech Air Force option to go with it. I began with my usual routine when building a limited run kit of removing all of the main parts from the sprues. With the parts cleaned up they were taped together to check the fit of the overall airframe. Considering the age of the kit the fit was pretty good. It would need a little more work than when I built it the first time round but not too much. Before starting the build I carried out a small modification to the lower wing. As with the Planet Models resin kit the undercarriage doors for the main gear legs are moulded closed. These doors are fixed to the legs so with the undercarriage down the bay should be open. Five minutes with the drills, razor saw, scalpel and files soon fixed this problem. Whilst I had the drills out I opened the vent on the lower fuselage for, I believe the auxiliary power unit. The instructions begin with the ejector seats. These were built up and painted and the addition of the photo-etch details dresses them up nicely. These were then put away until later in the build. The cockpit tub is next and here some patience is required. In typical limited run fashion this is built up from multiple parts with very little in the way of locating pins or ribs. Using the bulkheads and floor in the fuselage halves eventually I got everything lined up and fixed them into place. The side consoles and rudder bars were fitted before the cockpit and fuselage interiors were given a coat of H308 Grey and the side consoles were picked out in black. The instrument panels need to be carefully selected from the photo-etch fret. These were sprayed black and the details were picked out on them and the side panels. The back of the acetate sheet was sprayed White and when it had dried the relevant parts were cut from the sheet. The acetate was then fixed to the back of the etch with Johnson's Klear. As with the seats these were then set aside until later. Jumping ahead the intakes were fitted to the fuselage halves as it easier to clean up the joints before fitting the wing. That done the fuselage was closed up around the cockpit tub and bulkheads. The resin rear fuselage plug was fixed into place with cyanoacrylate and activator. A bit of a session with the sanding sticks had all the fuselage seams cleaned up and I could then add the wing and tailplanes. There were a few small gaps that needed a little Mr Surfacer followed by a bit more sanding. A few panel lines and rivets needed re-scribing so now was as good a time as any to deal with them. With the bulk of the airframe built my thoughts turned to the vac-form canopy. As I have mentioned it is very clear but very thin. To give the canopy some strength some small plastic strips were added along the cockpit sills. I decided to add the canopy and then mask it before painting so the next step was to add the ejector seats, control columns and instrument panels. The canopy was trimmed and sanded for the best fit. A few small spots of cyanoacrylate were used to secure the canopy followed by an application of Pacer Formula 560 PVA to seal it. Any excess PVA was removed with damp cotton buds and once dry the clear sections were masked up. To smooth the joint Mr Surfacer 500 was applied around the joint and when that had dried it was out with the sanding sticks again. With the canopy fitted the last job before I could begin painting was to seal up any openings around the airframe to prevent any paint dust getting into the cockpit. That done it was time to start putting some paint on. I started with the H4 Yellow areas on the extremities. These were masked up and next up was the underside H325 grey. More masking followed before the lighter H308 (Light Compass Ghost Grey FS36375) grey went onto the topside. The darker topside H305 (Gunship Grey FS 36118) grey has a soft edged demarcation so the masking this time was achieved with some Blu-tac. 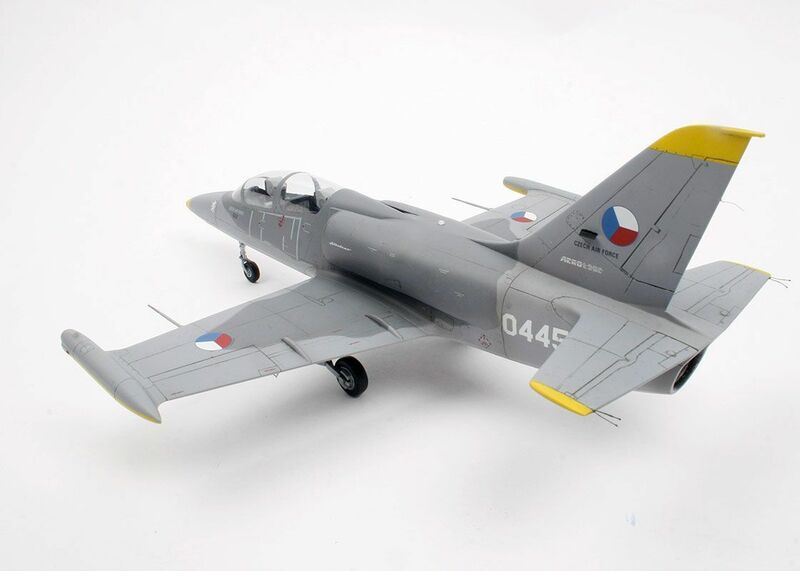 The masking was removed and the whole airframe was given a coat of clear gloss to prepare for the decals and ink wash. The decals went on beautifully with just a touch of Micro Set and Sol to bed them down. One thing to bear in mind is to concentrate with the many stencils as there are two options dependant on which version you pick. After wiping off any excess decal solution the whole model was given a wash of grey acrylic ink to highlight the engraved detail. Photos of in service L-39’s show a fair amount of dirt and oil on the underside so some Tamiya X-19 Smoke was sprayed around the rear underside of the fuselage. 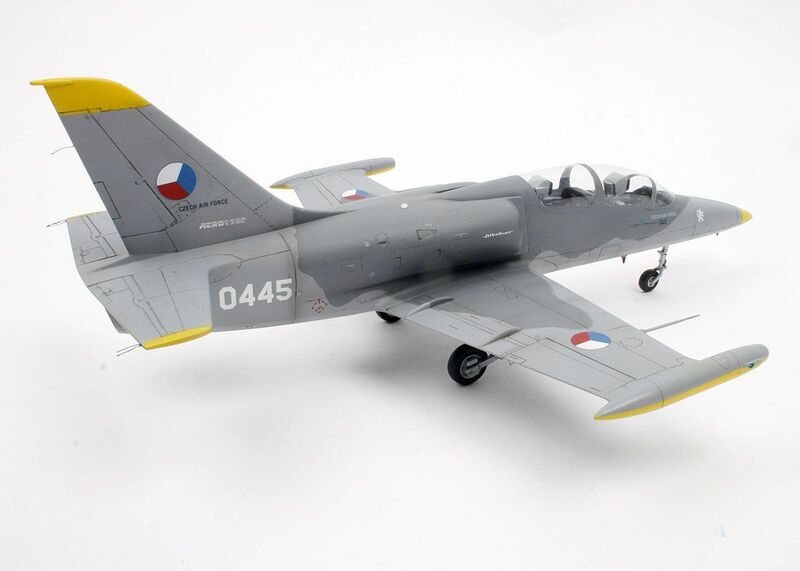 An even thinner mix was used to do add some shading around the rest of the airframe. The undercarriage and any ariels etc. were added now before the whole model was given a coat of Vallejo satin clear to even everything out. The final touches were the navigation lights and static discharge wicks to complete the build. Even though it’s an oldish kit it still builds reasonably well and the addition of the new schemes makes for a really nice model. Bear in mind it is not an easy build, being a typical limited run product. Experience with resin, photo-etch and vac-form parts in particular will prove very useful. 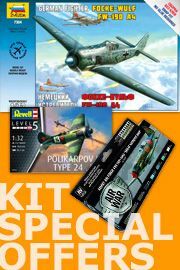 I’m glad Special Hobby has chosen to re-release this kit, but it is time for a new tooling to modern standards. 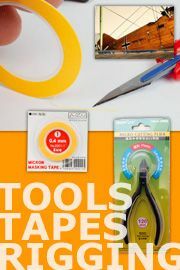 Our thanks to Special Hobby (www.cmkkits.com) for the review sample.